Villivakkam Sree Viswanatha Sharma Ashta Sastha Temple Trust is a Religious and Charitable Trust started in 2011 to bring various facets of Sastha into light by building a temple for Ashta Sastha. The trust is started in the name of our beloved Guruswamy Brammasri Viswanatha Sharma, who has sacrificed his entire life for the service of Lord Ayyappa. Villivakkam Sree Viswanatha Sharma Ashta Sastha Temple Trust is a Religious & Charitable Trust started in 2011 to bring various facets of Sastha into light by building a temple for Ashta Sastha. The trust is started in the name of our beloved Guruswamy Brammasri Viswanatha Sharma, who has sacrificed his entire life for the service of Lord Ayyappa. Our Guruswamy made an extensive study of the Sastha concept, Ayyanar and Ayyappan chose eight Sastha incarnations for Loka Kshema eventhough there are few hundreds of incarnations in reality. He also made panchaloka idols along with Aadhi Boodha Naadha Sastha, which makes it nine altogether. The famous Sastha Varavu song, “Ettu Avadharangal Undu, Yettu Swaroopangal Undu” suggests eight important incarnations and eight forms of Sastha ; and ‘Dyana ratnavali’ confirms the same fact. 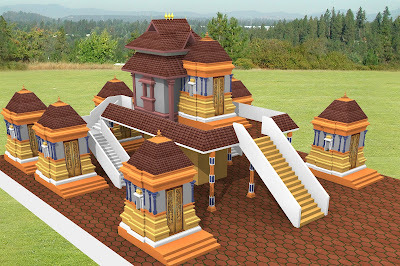 The eight forms of the deity will be enshrined in this temple that was visualised by Gurusami Viswanatha Sharma, who was ordained by Paramacharya. He visited almost all the Sastha temples south of India and dedicated himself to the renovation of temples. He was instrumental in the conduct of Sastha Tirukkalyanam and composed Sasthru Ashtapati, Ayyan Tiruvadippa, etc. Our Guruswamy started a spiritual organisation by the name “Sree Ayyappa Bhajanai Sangam” (https://sasthakalyan.blogspot.in/) in 1970s with similar objectives. We intend publish articles related to Sastha Thiru Kalyanam, Sastha Slogams, Songs, other events, any other interesting article on Sastha in https://sasthakalyan.blogspot.in. He aspired to build a temple during his lifetime. He has struggled&sacrificed a lot for building an Ashta Sastha temple for more than 10 years. Unfortunately, he was not able to do it in his lifetime. We have taken oath that we will make his aspiration come true. We are seeking donations to build the Ashta Sastha temple @ Veppampattu, Tiruvallur district. 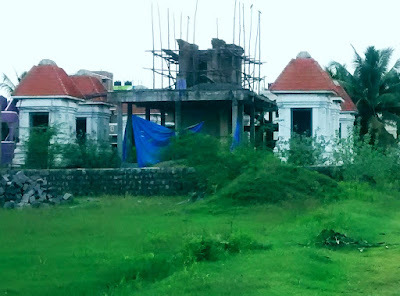 We request devotees to contribute liberally for the Ashta Sastha temple project either as materials or in the form of Cheque / DD addressed to “Villivakkam Sree Viswanatha Sharma Ashta Sastha Trust” and get the blessings from the almighty.